Thomas was convicted by a federal jury of reckless endangerment and firearms changes on Tuesday — but two days later the U.S. Marshals Service was looking for him after he was let out of his jail cell and allowed to cut through the fence at Golden Grove Adult Correctional Facility some time Thursday. Bureau of Corrections (BOC) officially say they don’t know when he escaped. He was discovered to be missing after a prisoner count at 10:30 p.m. on Thursday, BOC said. A reward of $5,000 is being offered for information leading toThomas’ arrest. Federal marshals warn that Thomas, who also uses the alias “Jahreek” or “Ringo,” should be considered armed and dangerous. 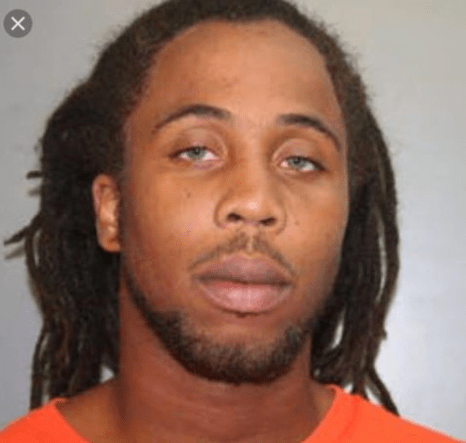 He is a 28-year-old black male who stands 5 feet, 8 inches tall, weighs 120 pounds, and has hazel eyes and brown hair, according to the marshals. Thomas’s information has been placed in the National Crime Information Center (NCIC), which should alert law enforcement of his presence anywhere in the continental U.S. and its territories if Mr. Thomas either attempts to travel through ports, or has a run-in with police. Thomas is facing up to 20 years in prison if sentenced consecutively for the offenses he has been convicted of. According to two Golden Grove sources, Thomas escaped after cutting a fence with wire cutters. It was unclear as to how he got out of the unit he was being held in. He turned himself into authorities in May of 2016 after police issued a wanted poster for him. According to police and prison officials, Thomas is still free and living on the lam.